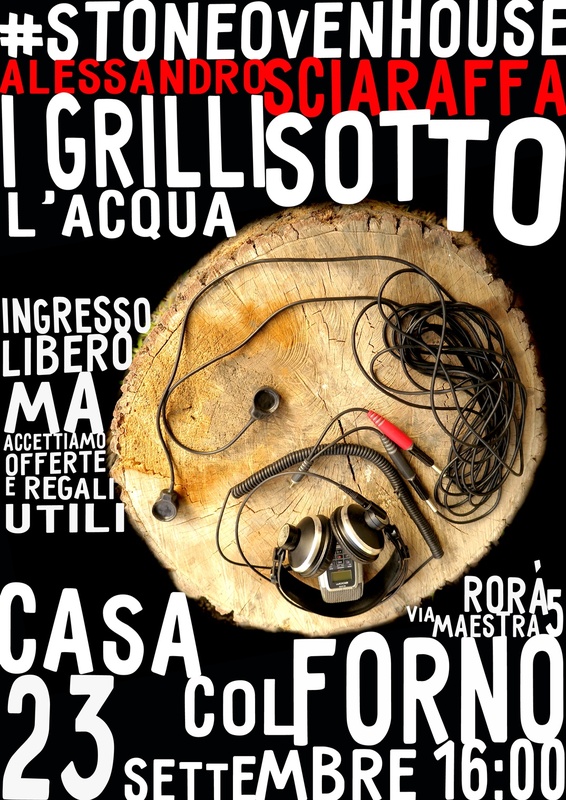 I Grilli Sotto l'Acqua is an immersive installation by Alessandro Sciaraffa. A sensory experience from afternoon to night. 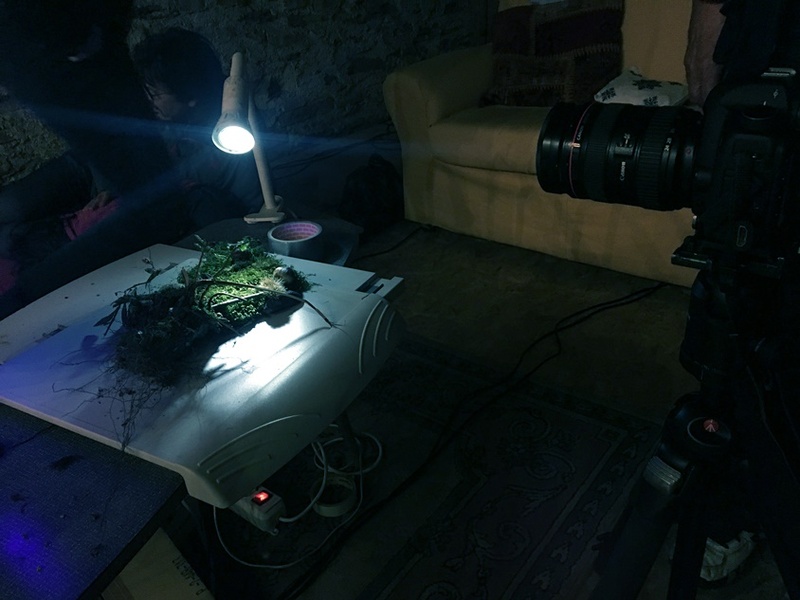 First, the banks of the stream and its sounds are explored with the artist, then we immerse ourselves in audiovisual projections lying in the barn at the Stone Oven House. Then we continue in front of the bonfire, we shrink grilling on the fire. And then maybe we dive again. Alessandro Sciaraffa was born in 1976 in Turin, where he lives and works today. 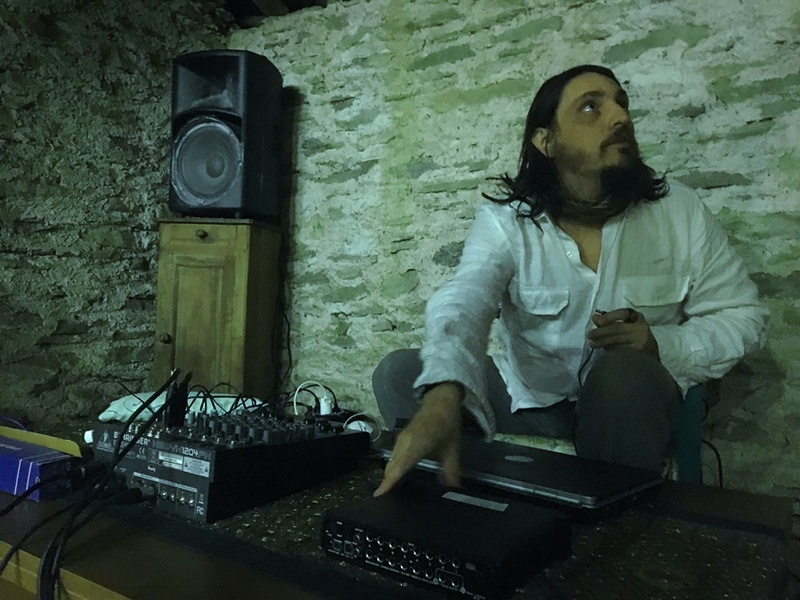 His artistic work focuses on experiments in sound and music, with an emphasis on performance and sculptural installation. His synaesthetic works revolve around the participation of the audience in autopoietic processes.